Sep 14 (AZINS) There is little dispute among superhero aficionados that Iron Fist: Season 1 is one of the most atrocious live-action comic capers that exist, on par with the CGI-mess called Green Lantern and Halle Berry’s feline adventure named Catwoman. So how do you fix a show where the main actor is the weakest link? 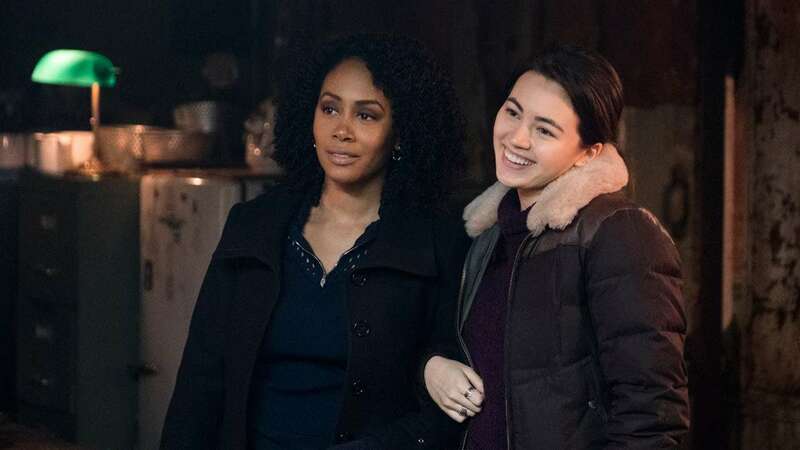 You simply upgrade the supporting cast and that’s what Iron Fist: Season 2 has done to spin a tale which is far more palatable than its predecessor. Finn Jones is still annoying, particularly when the white saviour complex surfaces, but all the other characters make the show a far better affair. This is reflected in the ratings and Iron Fist Season 2 has earned the highest bump on Rotten Tomatoes going from 19% from Season 1 to 54% in Season 2. It has a tighter script, slightly better fighting sequences and is paced far better than other Netflix Season 2 shows. Both Luke Cage and Jessica Jones, which had excellent debuts faltered. In that sense Iron Fist’s Season 2 is actually more watchable than the other Defenders’ second-season runs. What also particularly elevates the show is a great support cast, and there’s actually more focus on them than the protagonist. Sacha Dhawan’s Davos is perhaps the first proper South Asian character we’ve had in the Marvel universe so far. His intentions to get and use the Iron Fist’s powers are starkly clearer. He has a Travis Bickle-like rage against the world, disgusted by everything he sees with a desire to clear the filth and eradicate the corrupt. Davos’ character, a teetotaller who finds the concept of killing animals for meat decadent, would find some folks closer home who will agree with his idea. He is one of the better villains Marvel has come up with, though far below the standards set by Kilgrave and Wilson Fisk. He is driven by failure and fear and shame, the dishonour of losing the Iron Fist to an outsider, an immigrant. The showrunners beautifully flip this immigrant story on its head by showing a young Davos being harangued by his sari-clad Asian tiger mother called Priya (Gita Reddy), whose admonishments aren’t unlike a first-generation immigrant mater laying into her son for coming second in a maths test. It makes him a far more compelling character, burdened by his failure to earn what he feels is rightfully his. The Meachum siblings – Joy and Ward – also return and their actions remain firmly etched in the grey with their morally-ambiguous actions. The best moments of the show, however, involve its women - Misty Knight and Coleen Wing. The two of them share a genuine bond that would pass every iteration of the Bechdel test. The bonhomie that was explored in The Defenders and Luke Cage, is the show’s most endearing arc. The famous Heroes for Hire future duo of Wing and King looks in the offing and that’s one show that lots of people will happily sign up to watch. Also, more of Alice Eve’s Typhoid Mary please, who for some strange reason is quite reminiscent - in spirit and look - of Sarah Connor from Judgement Day. The only true disappointment remains the lacklustre action sequences. The showrunners fail to give a single moment that makes your inner child whoop with pleasure, which is quite a grave crime for a show based on martial arts. All said and done, Season 2 is far better than Season 1, but there are higher quality superhero shows out there.